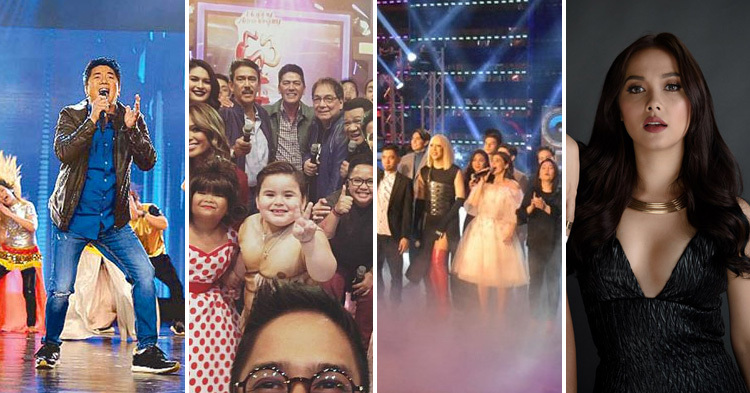 ABS-CBN again dominated the overall and weekday rankings of both AGB Nielsen and Kantar TV survey while GMA continues to lead AGB Nielsen's Weekend rankings. ABS-CBN's Ang Probinsyano remained the top notcher in all rankings category of both TV ratings provider. Ang Probinsyano scored 12.7% in AGB Nielsen to top the overall and weekday rankings while it got 42.2% in Kantar to led the same ranking category. Wowowin, Eat Bulaga, It's Showtime and Wildflower. Following Probinsyano is the telecast of ABS-CBN's Christmas Station ID 2017 Just Love which garnered 12.3% in AGB and La Luna Sangre in Kantar with 34.8%. If the Kapamilya network dominates overall and weekday rankings, weekend ranking was a split between the 2. ABS-CBN led Kantar via Wansapanataym's 31.2% while AGB Nielsen was led by Pepito Manaloto with 11.5% ratings. Kantar's weekend top 5 are all from ABS-CBN with Little Big Shots settling in 2nd with 30.4%, MMK in 3rd with 27.6%, Home Sweetie Home in 4th with 24.9% and Goin' Bulilit completing the top 5 with 22.9%. Meanwhile, for AGB Nielsen, top 5 is a mix of Kapuso and Kapamilya with Daig Kayo ng Lola Ko placing 2nd with 11.3%, KMJS 3rd with 11.1%, MMK in 4th with 10.8% and Little Big Shots in 5th with 10.2%.